Hey there. I've had long hair for most of my life. I've made a conscience effort to let my hair grow for about 7 years and then donate my long locks to charity. Because of this, I need to make sure that my hair looks healthy and stays healthy. One of the things that I found unpleasant is the frizz. I found that when my hair was frizzy, I couldn't style it or control it... and if I let it loose, I found myself breaking strands of hair left and right. Luckily, my wife introduced me to this stuff called Moroccan Oil in effort to control that frizz and keep my hair healthy. I tried quite a few Moroccan Oils, actually. Some felt real heavy, like actual oil, others were soft but smelled like crap. I was ready to drop the stuff until I tried this Moroccan Argan Oil by RoseMyst. 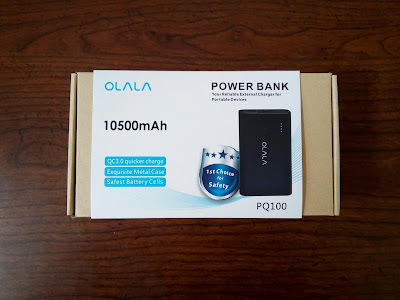 Oh man, this is some of the good stuff and it's relatively cheap too! Before I get into my experience, let's talk specs! 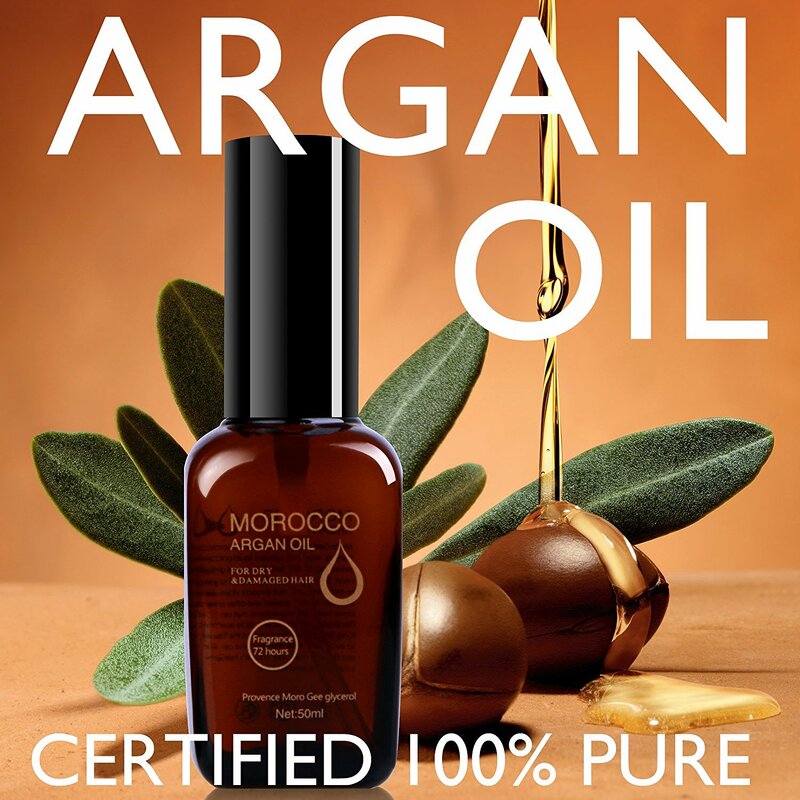 100% Pure Organic Argan Oil. Cold pressed, unrefined with no chemicals added. Body, Hair & Face Treatment. Restores elasticity, softens wrinkles and fine lines. Now, this will be relatively quick. This stuff is awesome! I mentioned that I tried other Moroccan oils before, right? This stuff by RoseMyst blew those away! I had bought some pretty pricey stuff from Salons and I even tried some lower price stuff from big name retailers and neither one could compare to the Moroccan Oil from RoseMyst! First off, you don't need much. A spray or two is all you need to get the job done. It feels super silky against your skin and smoothly glides through your hair. A quick brush through and your hair will feel super awesome! It won't feel oily or weighed down, which some of that other Moroccan oil stuff would do. Also, this Moroccan Oil smells great! It doesn't have that crappy smell that other oils have. It's a nice pleasant aroma that envelopes your hair. But the best part is that it is not overwhelming. It's a subtle scent but it's enough to get noticed. 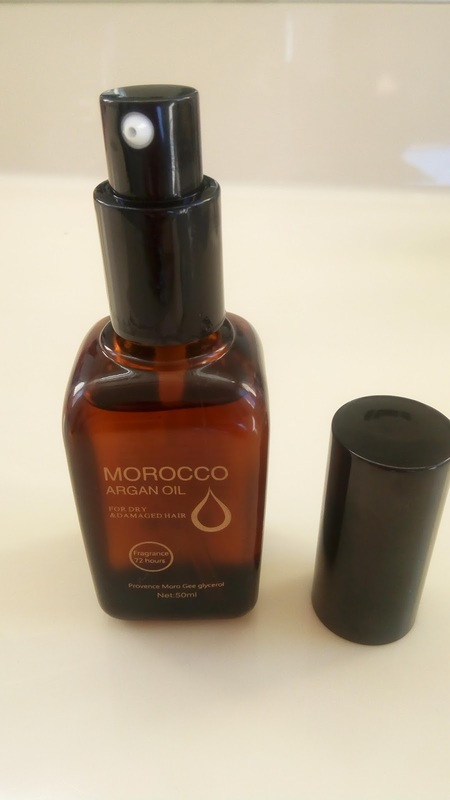 I found myself using this Moroccan Argan Oil by RoseMyst mostly right after a shower. That's when my hair is at it's frizziest and uncontrollable. Once my hair dried up some, I would pump some Moroccan Oil into my hand and apply to my hair. It instantly took care of the frizz and I was able to style my hair without a problem. No globs of stuff or oily hair to contend to. It was still soft to touch, smelled good, and had this awesome natural shine. And because I'm only using a pump or two after a shower, this bottle should last me for quite awhile. Now, personally, I bought this for my hair, but it turns out that you can use this for your skin as well. 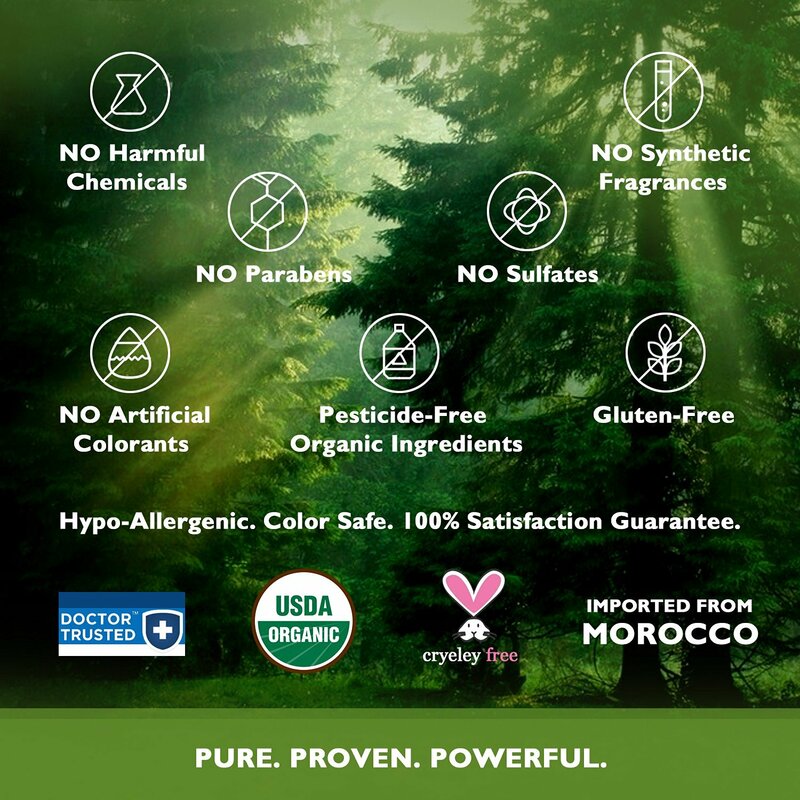 This Moroccan Argan Oil by RoseMyst has the added bonus of also having anti-aging properties. You can safely use it to moisturize your skin to diminish fine lines and wrinkles without clogging up your pores. Sounds perfect for those patches of dry skin that I have (I'm looking at you, feet!). And, it also helps in diminishing the appearance of scars and stretch marks. Sounds like a little miracle worker to me! I'll admit that I haven't tried using it against my skin, but I'm thinking that maybe I should. I really am looking at this year as my year of health and I have a few problem areas that I want to work on. My feet have been an issue (especially the dryness) and I'm going to start using this to help with that. Also, I'm in my mid thirties now and maybe I should take better care of my facial skin as well. I have some scars on my face from my battles with acne as a youth that I didn't pay mind too before but maybe I should try to diminish that. Maybe I'll update this post in a month's time with a before and after just to see if it'll get the job done there too. So there you have it! This Moroccan Argan Oil by RoseMyst is simply an amazing hair product and potentially be an amazing overall health and beauty product. Control that frizz and let your hair shine beautifully and pick up a bottle now! 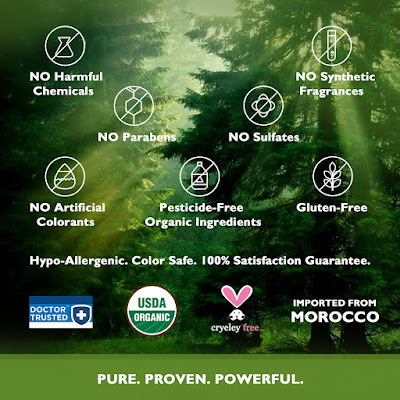 You can pick up this great Moroccan Oil at Amazon now for under $13! 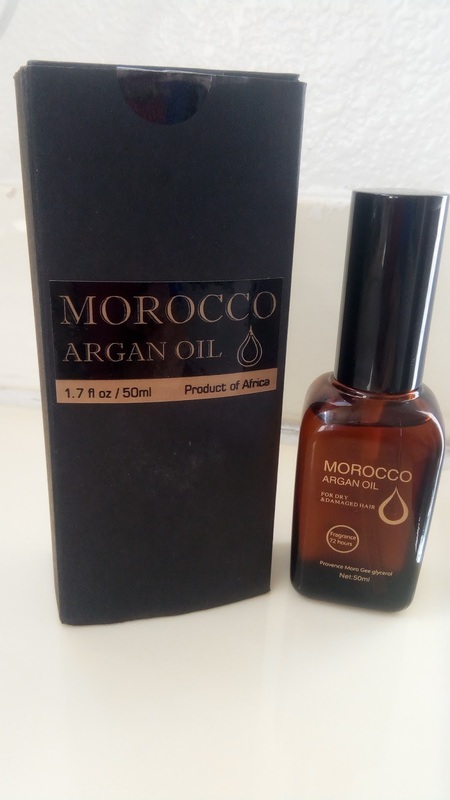 So what do you think about this Moroccan Oil? What are you experiences with other oils? Good? Bad? Let's hear it in the comments, friends! Later!